The place was cozy and relatively clean. 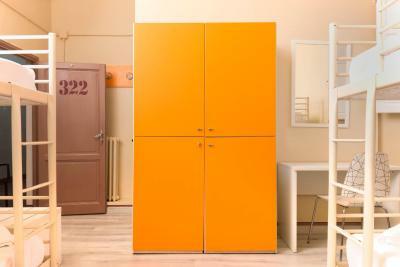 It’s near to the station and convenient stores. I like that women stay in one room and the men in others, its good for comfortable. But i didn't like little bit reception because sometimes she looks like a neorvause and agrresive..but generally everything was excellent. The staff is very friendly. 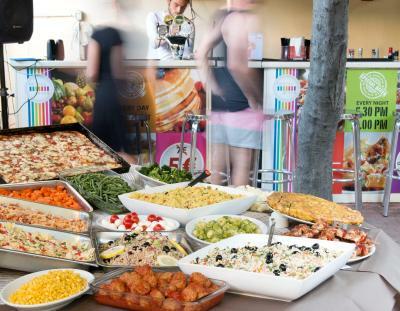 There is a buffet dinner menu available for 7euros. Excellent value for the money. Clean and simple. Free breakfast, affordable buffet dinners. Helpful staff. I love that it’s a converted monastery! 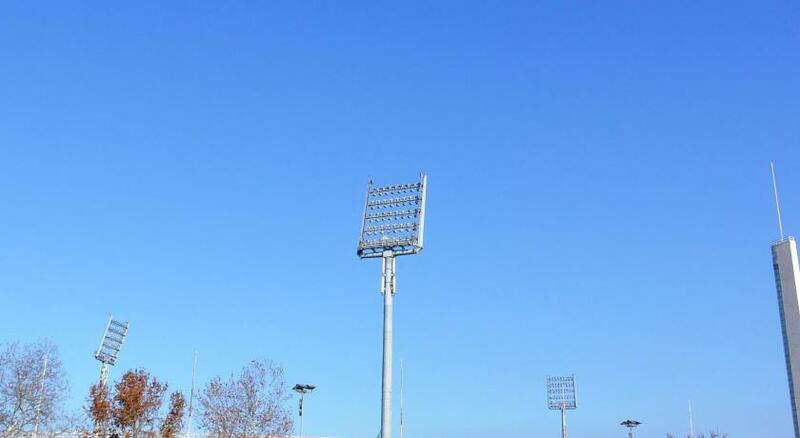 Also, it’s a great location if you want to watch futebol games! The breakfast is okay, I went off-season and it was still out of a lot of food by 9:30. It’s a bit far to walk into the center and back every day, but there is a bus stop just out front. The set up of my room was very comfortable, the personal night stands are a nice touch. 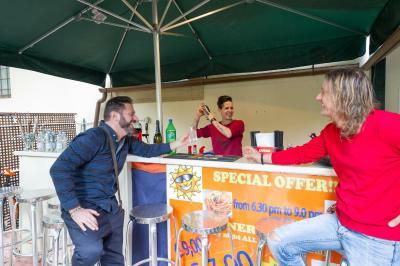 Marco the bar tender was full of advice and very entertaining host! Great hostel. The staff were great. I felt well taken care of. 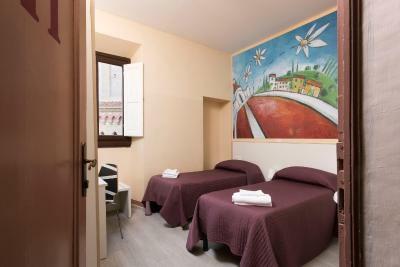 The 7 Santi is a friendly hostel located near the Artemio Franchi football stadium, and 1,000 feet from Firenze Campo di Marte Train Station. 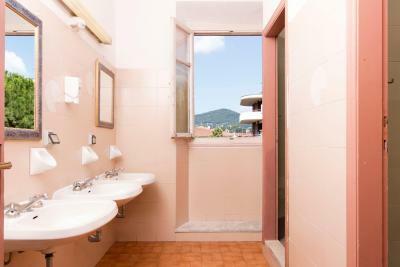 It offers rooms with attached bathroom with free internet. 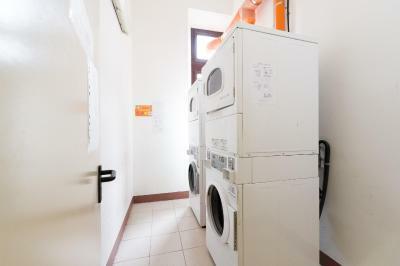 The hostel is located in a residential building with elevator. Reception is on the ground floor, and rooms are on the second and third floor. 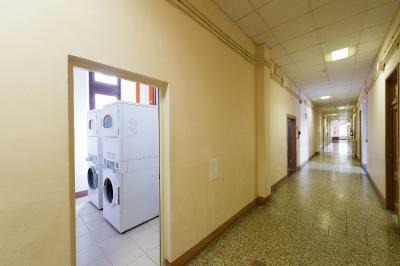 Dormitories are also available. Wi-Fi is free throughout the building. In public areas you will find 4 computer terminals and printer, all free of charge. Free yoga classes are available on the rooftop terrace of a partner hostel, set 1.2 mi away. 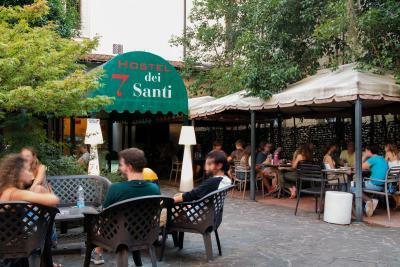 Hostel 7 Santi serves a varied buffet breakfast. The restaurant is always open and has outdoor seating. There are 3 bus stops just outside the property. Busses take you to the city center. 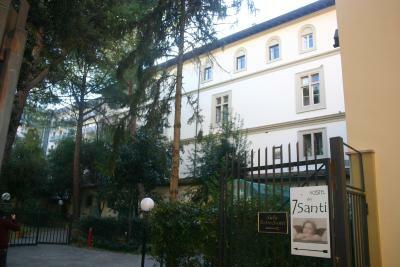 When would you like to stay at Hostel 7 Santi? Private room with simple furnishings and wood furniture. With views of a private park nearby, or the property's garden. 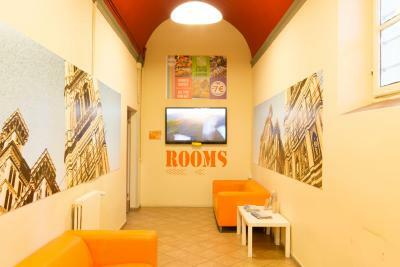 Features free Wi-Fi and free wired internet. 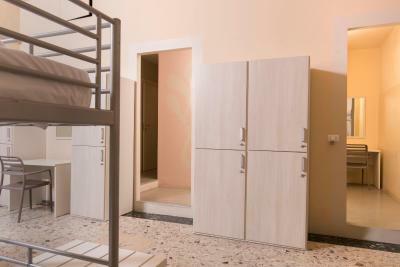 Single bed in a mixed dormitory featuring a total of 4 beds. 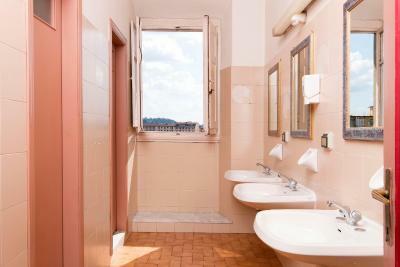 Outside the dormitory, the bathroom is shared. 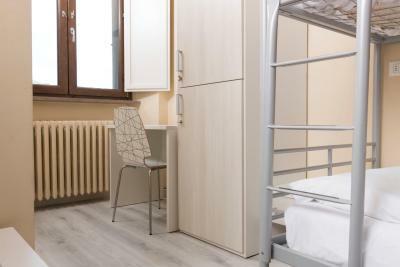 Single bed in a mixed dormitory featuring a total of 6 beds. 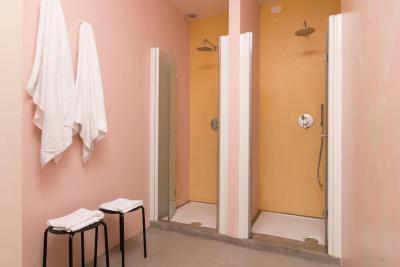 The bathroom is shared but inside the dormitory itself. 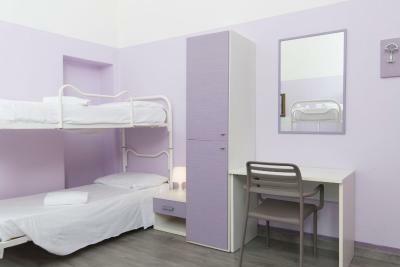 Single bed in a female dormitory featuring a total of 6 beds. 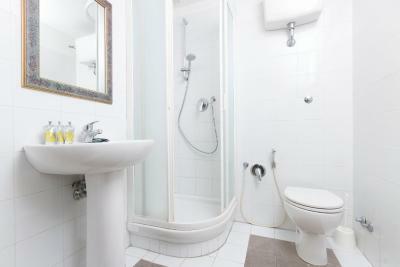 The bathroom is shared but inside the dormitory itself. Simple room with shower and sink. The shared bathroom is on the same floor. 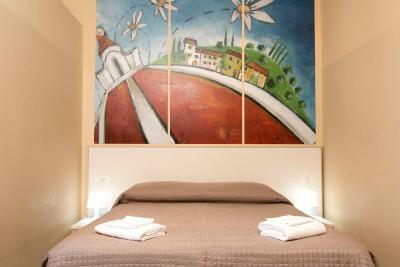 Includes free Wi-Fi and free wired internet. 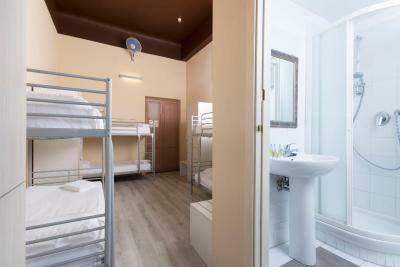 This single bed is in a female dormitory featuring a total of 4 beds. The bathroom is shared. 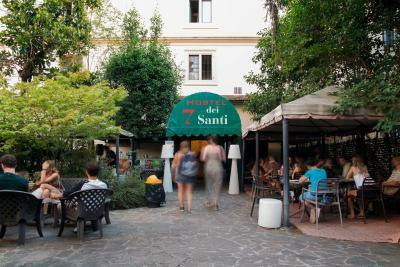 Area Info – This neighborhood is a great choice for travelers interested in monuments, old-town exploration and cathedrals – Check location Good location – show map Guests loved walking around the neighborhood! 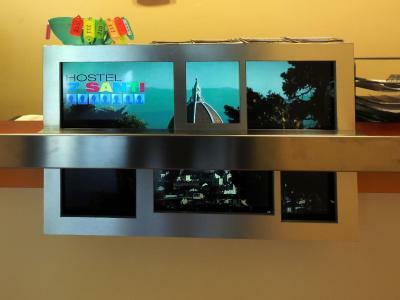 House Rules Hostel 7 Santi takes special requests – add in the next step! 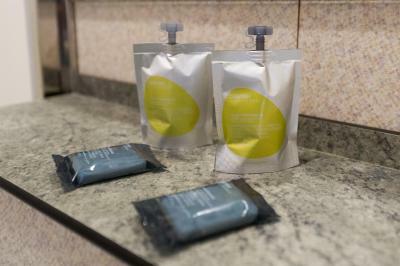 Hostel 7 Santi accepts these cards and reserves the right to temporarily hold an amount prior to arrival. Please note that minors under 18 must present written authorization signed by parents or legal representatives. You can contact the property for further information. 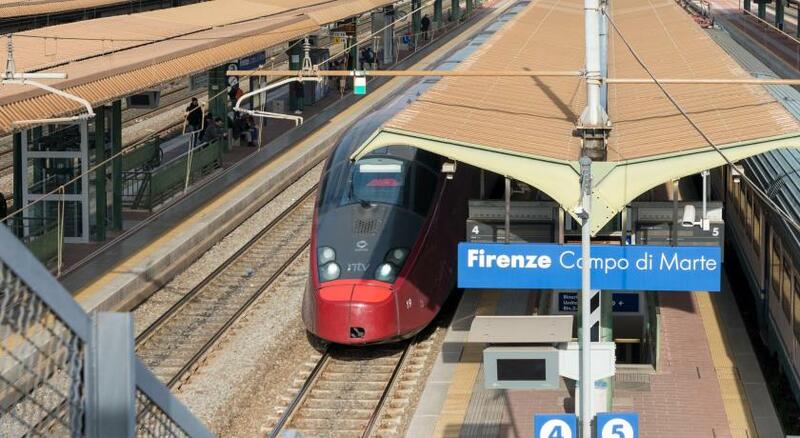 Guests can reach the property with the Bus 17 from Firenze Santa Maria Novella Train Station. 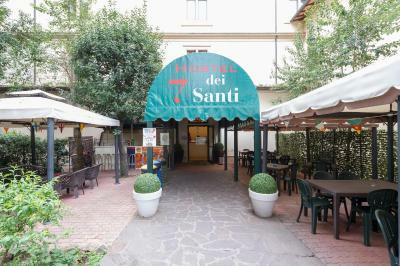 The nearest Bus Stop is Sette Santi. The toilets were a bit sloppy but nothing more. The breakfast was wonderful, the facilities excellent and I really appreciated that they had an iPhone charging station near the couch in the foyer, because I had forgotten my European converter. Hostel is really ugly - looks like the old hospital. Dodgy people staying there and coming for dinner. I do not recommend. Unpleasant restaurant service who treated me like a cheater during breakfast, even I paid for breakfest in advance. She accused me of cheat in dining room full of people... Terrible... Really weak wifi; Hostel is ex monastery building. Rooms look like monastery cells. 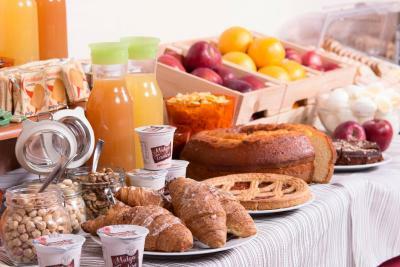 ; no fridges and kitchen for guests; not full lining; breakfast was not as good as descibed at the Booking side - not healthy food, a lot of cheap fastfood. My mate from room smoked cigarettes inside room. 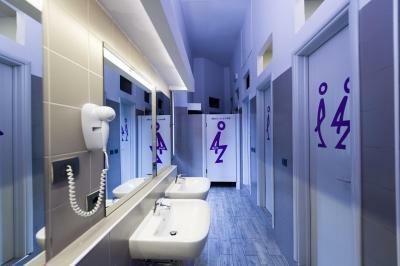 Number of Toilets and shower rooms are very less in caparison to the rooms they have. You can Wash and Dry your cloths by own but amount is expensive. 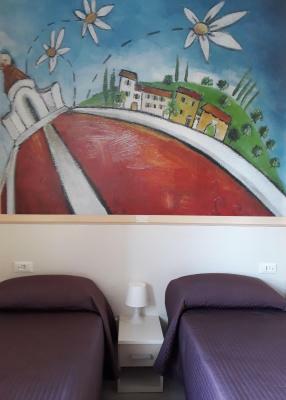 It is a big property, a proper hostel one can say, it is close to the stadium so you see many young kids in the hostel, may be the main reason why the property is too big. 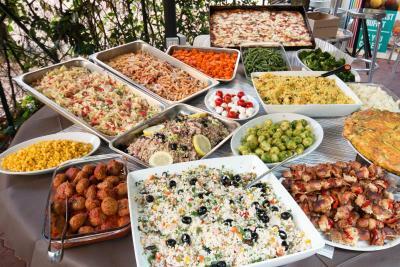 1) Dinner cost 5 to 7 Euros but it is very much worth it. 2) Big space to leave bags after check out for free 3) Super market is just outside. There is no lock in the locker so I have to carry all of my valuables. No assigned bed in the mixed dorm so it might confuse people. Lastly I wished I was notified about the tourist tax in advance. Some of the guests were up being loud. I was in a room with 3 showers so very hard to sleep. It was easily accessible by train or bus Many restaurants in area. I could easily walk to stores and so forth. Mosquitos in the room, noise in the corridors echoes and if you actually want to sleep, avoid this hostel. Location isn’t great. Breakfast included. The place even doesnt look like a hostel. More like 2* hotel with privat twin rooms. It's a bit far from the center. 20 minutes with the bus. The room and the toilets were very clean. Room was bigger than most of the rooms in Florence. Breakfast was good. 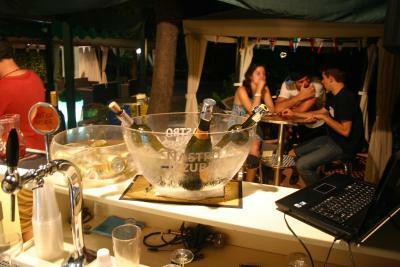 The staff was nice and the nights were quite! 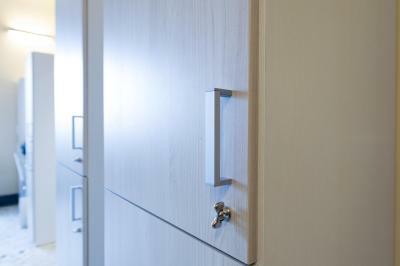 Very clean, very comfortable staff were friendly and extremely helpful. 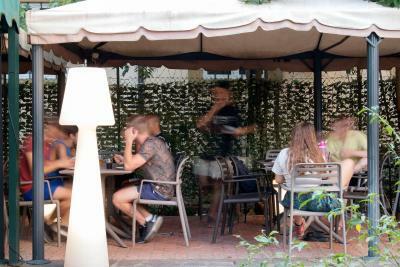 We Had a great stay and despite 200 young Spanish tourists arriving late on Saturday evening we never heard a thing! If you are arriving by car plan ahead as we had to use the swimming bath car park and had to move car early in the morning. But this was not the hotels fault. Overall great value for money.